Handing over iPhone or iPad to a friend or a kid? Of course, you can enable GuestMode, but there’s a much better alternative called iAppLock. This jailbreak app can password protect individual application to improve security and privacy while handing over your phone to a friend or a kid. Once the app is installed, you will find the app icon on your Homescreen. When launched, you will find three different tabs – protect, setting and more. The protect tab allows you to select apps to password protect. You can select native or third party application and protecting it with a password. Before you say that’s cool, let me tell you that you can only protect five applications. To protect more apps, you have to purchase an upcoming professional version. 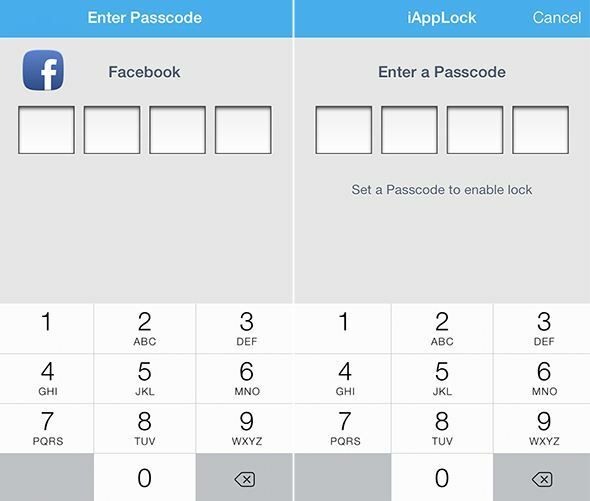 To launch the protected app, you will have to enter the right password. 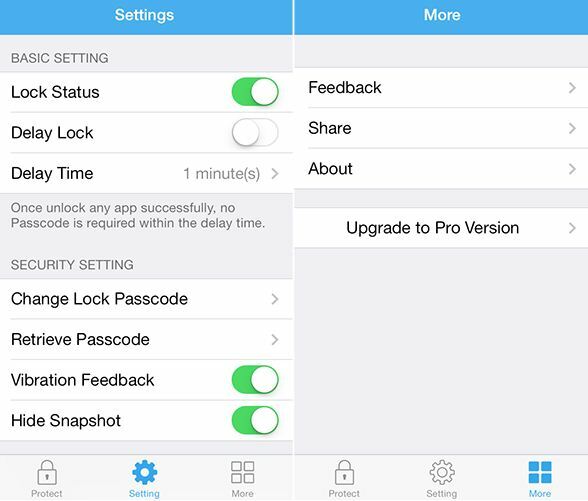 For security reasons, the app itself is protected with a passcode, so that a stranger will not be able to disable it. Did i tell you that your passcodes can’t contain alphanumeric characters? That’s bit disappointing. Setting tab allows you to configure the app – where you can set delayed lock which keeps the app opened for certain amount of time. For instance, you have launched an app after entering the valid passcode and the delayed lock setting defines how long iAppLock should wait before protecting the opened app. You can set it for 1 min, 5 mins, 10 mins, 20 mins and 30 mins. The more tab allows you to send feedback to the developer, and an option to upgrade to pro version. What if you forget the password? iAppLock allows you to recover the lost password via email. Can I protect a folder using iAppLock? At present, you cannot. The iAppLock app is available for free in BigBoss repository of Cydia.